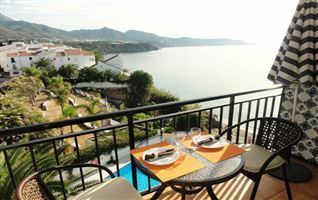 AVAILABILITY JULY 18 - 16 @ Weekly €620 / Nightly €89 bright, modern, centrally located, 2 bedroom 3rd floor apartment within 2 minutes walk to the beach. 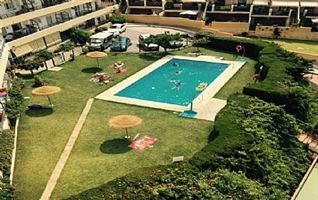 Edf Coronado is renowned and popular for its great central location, communal gardens and swimming pool. 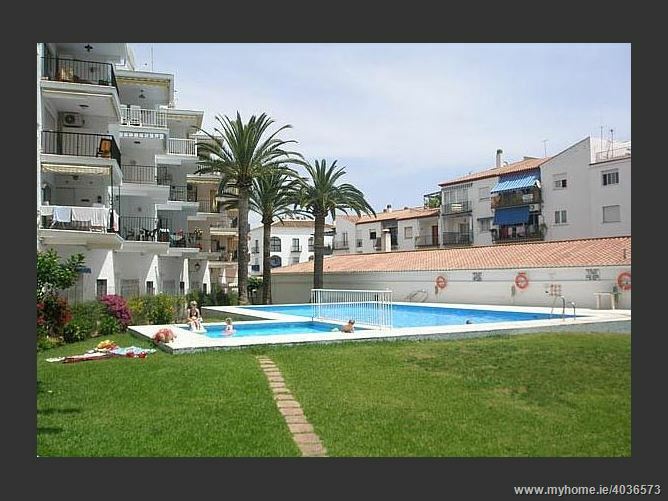 Bars, shops, restaurants are less than a minute´s walk away. A car is not necessary. 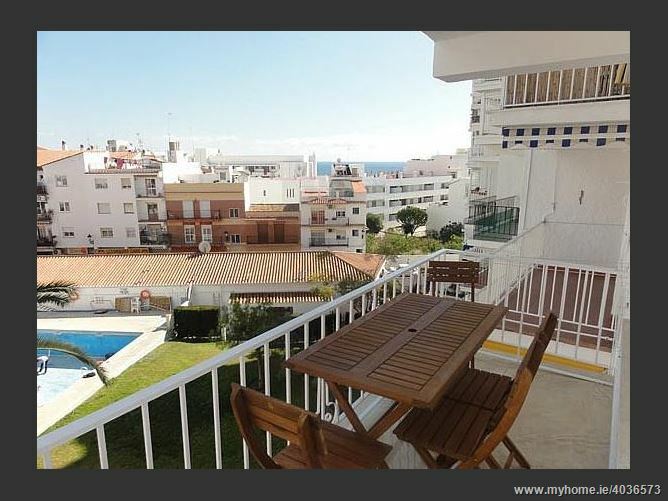 This modern third floor apartment (with lift) is in the heart of Nerja, just a few minutes walk from the Balcon de Europa and the beach – all amenities are within walking distance. A car is not necessary. 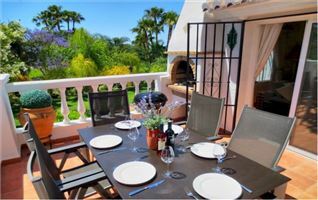 Accommodation includes an entrance hall, fully equipped kitchen, lounge / dining room with doors to the private east facing balcony, overlooking the communal pool. 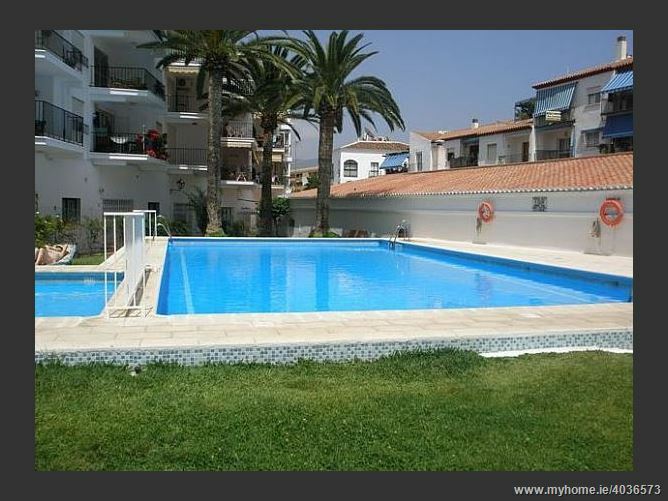 Two bedrooms, one large double bedroom looking onto the balcony and down to the pool and one twin bedroom as well as a modern bathroom with large shower. 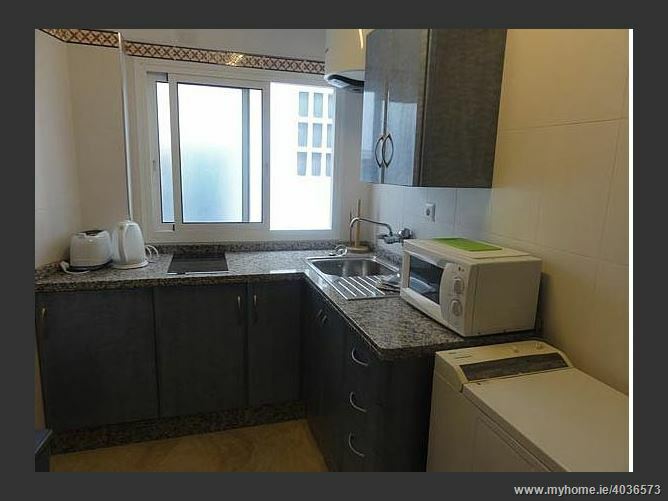 The Air conditioning units are connected to sensors and timers,and the usage is included in the rental price. 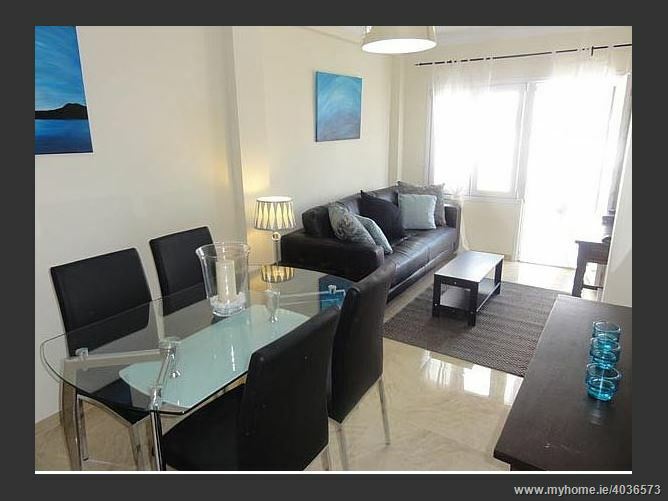 Air conditioning and High speed internet incl. in the rental price. 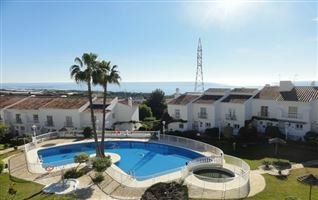 Communal swimming pool and gardens, private terrace with table and 4 chairs, and clothes airer. The balcony is east facing, providing morning to lunch time sun. 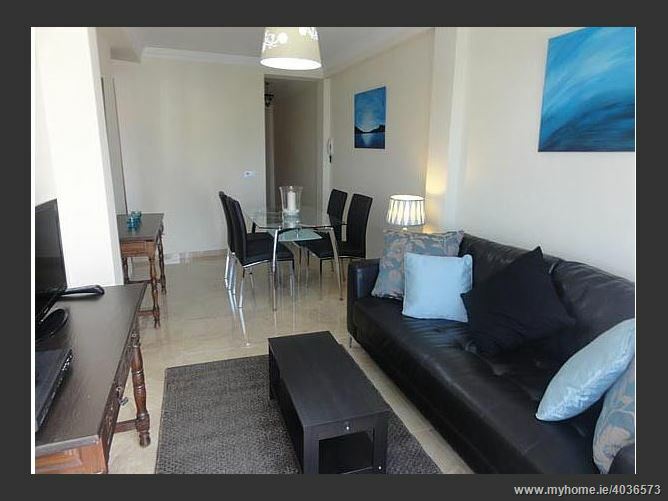 Sofa, coffee table, flat screen TV ( Channels listed below) and stand, DVD, sideboard, glass dining table and four chairs, doors opening to private east facing balcony. Radiator and standing fan, Air conditioning . 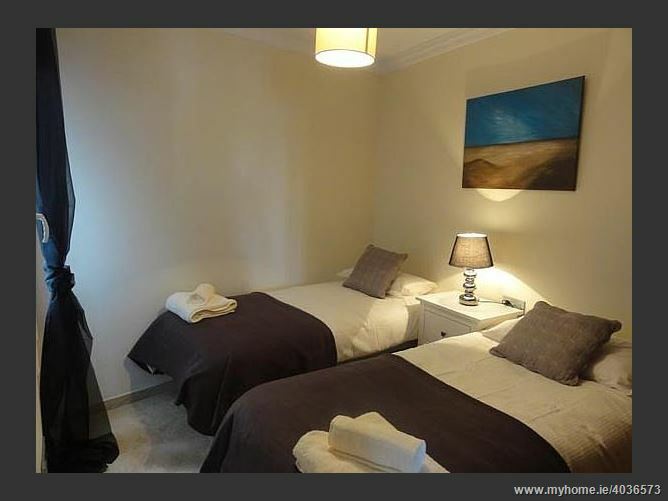 Double bed, beside tables with lights, built in wardrobe, mirror above chest of drawers, easy chair, radiator, standing fan, free standing large mirror, air conditioning. Twin beds, bedside table, built in wardrobe, air conditioning. 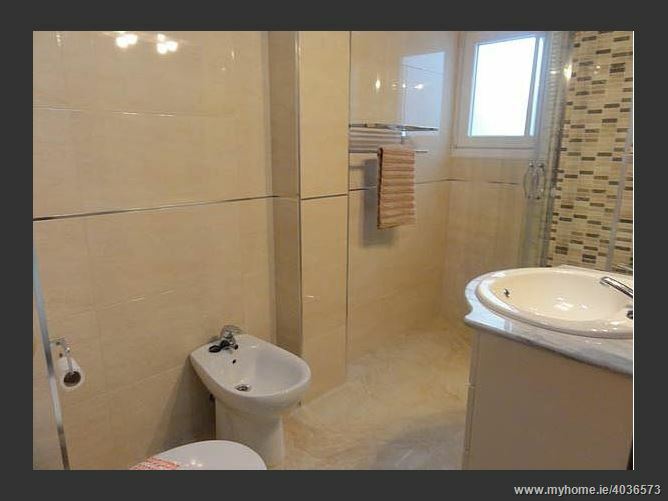 Modern bathroom with shower, wash basin, WC, bidet, mirror with overhead lighting, cabinets.